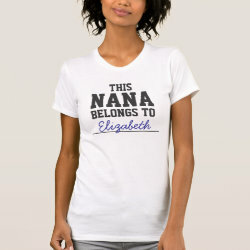 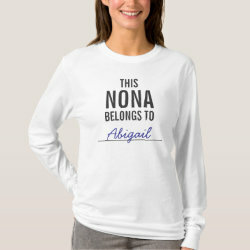 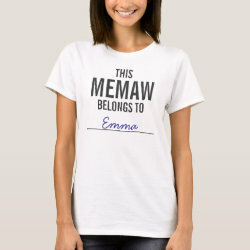 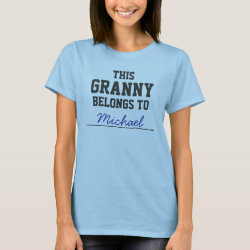 This fun customizable t-shirt will let everyone know who grandma belongs to! 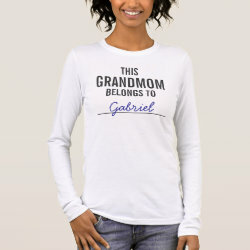 Customize the t-shirt by adding your name or any of grandma's grandchildren's names on More... the line. 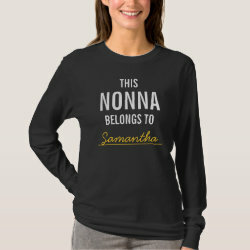 This will make a great for Christmas or a birthday. 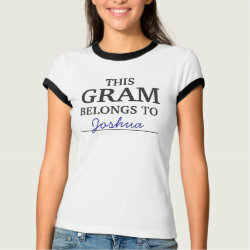 Further customize by changing the affectionate name for gram: nana, nonna, gram, grandma, granny, etc.